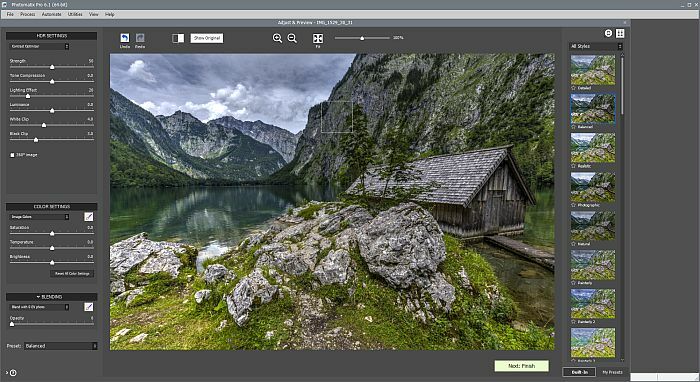 Shortly after HDR Soft published version 6 back in June now the company makes version 6.1 available. 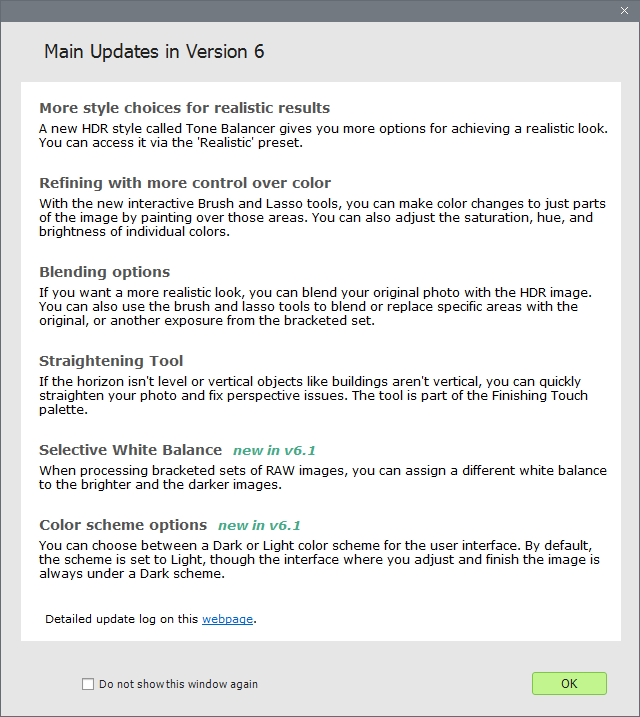 After version 6 in June HDR Soft makes version 6.1 available since 2-3 days. 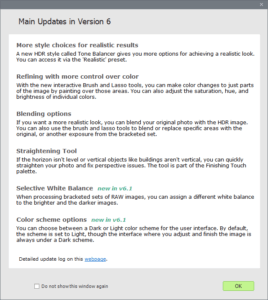 This version or better the update to version 6.1 is free of charge for all licensed users of version 5. I personally got noticed by an email about the update and this time the version check in the app worked without any problems. 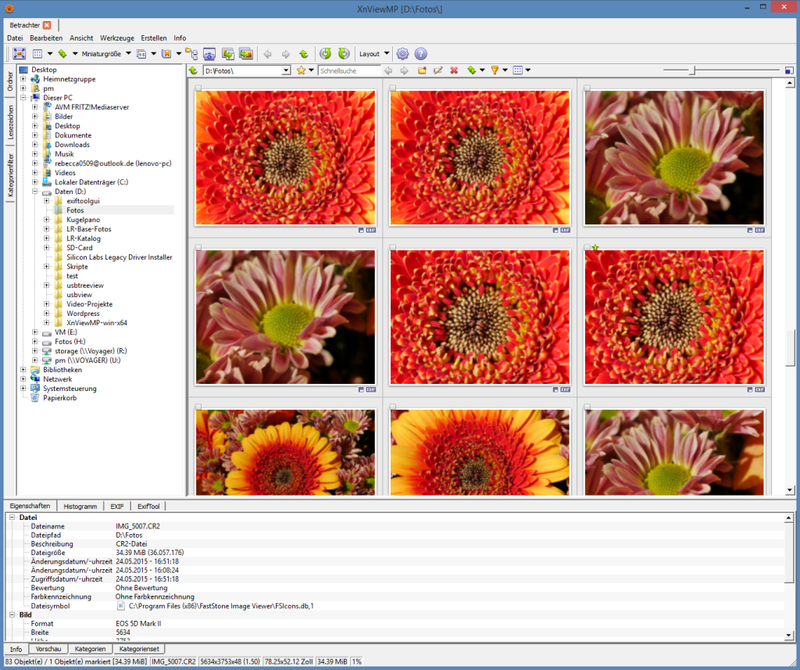 And besides this there is also a Photomatix version available for Linux operating system, but this version is not comparable to version 6 or 6.1. It seems to be very common to apply a darker look to almost every program just like PTGui 11. Now Photomatix applies a darker theme too with version 6.1. Local corrections could be already applied in the last version with bushes either for HDR mergeing or to change parameters like saturation and so on. 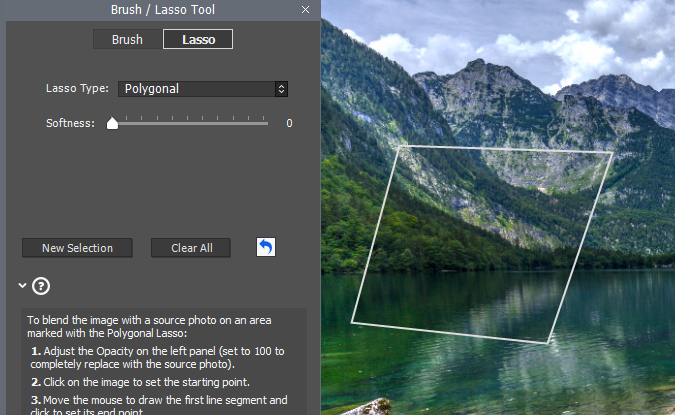 Now the company added a lasso tool mainly for selecting geometric forms more precisely. This could be a window for example where the scene looks form the inner room out thru a window. 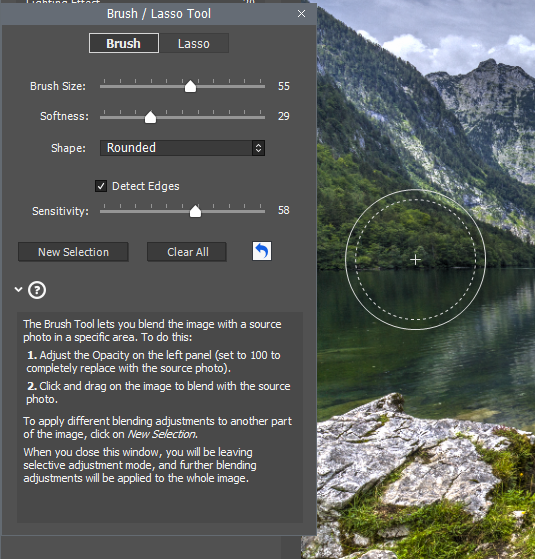 The brushes now can either select a rounded or a squared type shape. But with these 2 improvements the main improvements of version 6.1 already are mentioned. An improvement i couldn’t test out is a better user interface when using high resolution displays, because my older Dell U2711 only has 2440px on the widest edge. Besides this they added support for different formats like for example compressed RAW files from Fuji or mRaw files from some Canon cameras. 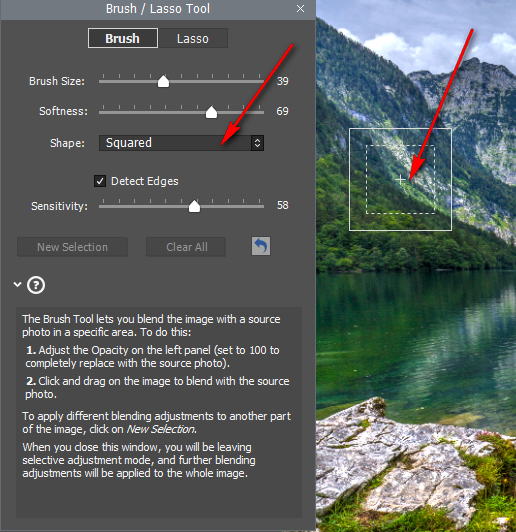 Adding support for RAW files isn’t that interesting because i always use the Lightroom plugin and even if there is no plugin available i always use 16-Bit tiff format to handle over to Photomatix or other HDR tools, so i can optimize the base images before generating an HDR file. Just like the update to version 6 the update offers minor improvements only, but Photomatix is on the right way and i use this tool quite often. Affinity Photo the Photoshop alternative?